Today I visited the Orlando Museum of Art (OMA) Website, and found this picture. This picture was taken at the Orlando Museum of Art last year at Daddy O. 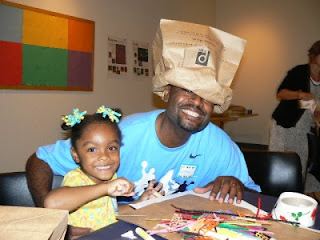 Children were able to do a fun craft with their Daddy ( no Mommies allowed.) There are many fun things to do at OMA. You can see the photo and learn more about children activites at Preschool Programs.